After absent on IBB Make Up Challenge last month, I decided to join this January Make Up again (well, I have to, I love challenge). This Make Up Challenge is held by Indonesian Beauty Blogger every month with different theme, so, go visit their web to get an update about this annual monthly make up challenge. 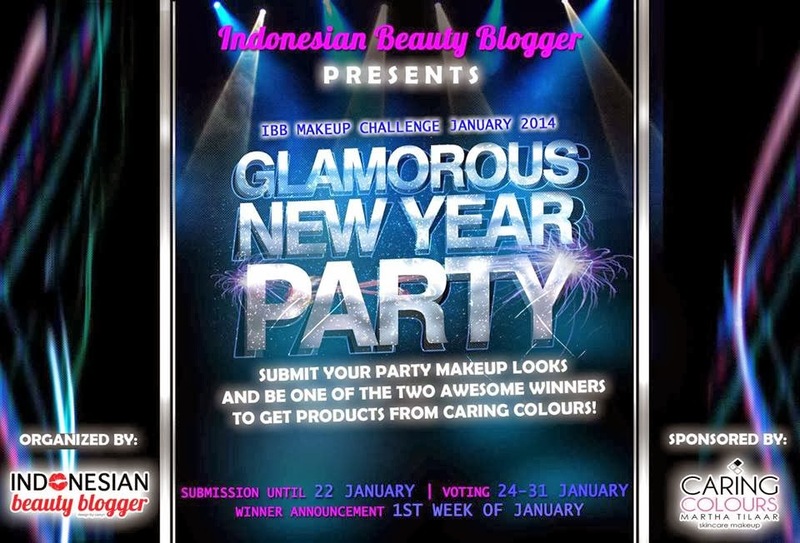 As stated above, the make up challenge theme is Glamorous New Year Party and sponsored by Caring Colors, one of brand from Martha Tilaar that you don't need to question about their quality. So, Glamorous New Year Party, right? At first what came to my mind was gold-brown or gold-black eye look. But I already made that kind of combination on my Lady Pig look. So, I want to create something else. Okay, I was putting my self on imagination that I am really about to go to a New Year Party with this Glamorous look. Not only looking glam, I want to make a bold statement look to face the new year. These days was pretty cold with rainy and cloudy weather, to balance that, I used warm tone with silver highlight this time. This is the first time I tried to make cut-crease-cat-eye look. At first trial (not this one) it was failed because my crease area is small and I made it way too high, it was too much. This look was the third trial and I'm pretty satisfied with how it turned out. Still need practice more. For lips, I mixed red and deep purple lipstick I have to get this burgundy red wine color. Miiiiaw >,< you like cat lady dhil.. bold banget mata nya.. sudah lama aku pingin buat look kaya gini.. tapi bel um pernah kesampeean..
Itu aku pakai lipstik Maybelline ColorSensational yang Red Porcelain sebagai dasarnya (ini karena nggak punya pensil bibir) pakai tipis-tipis, trus pakai lipstik warna ungu tua dari Viva yang no.35. 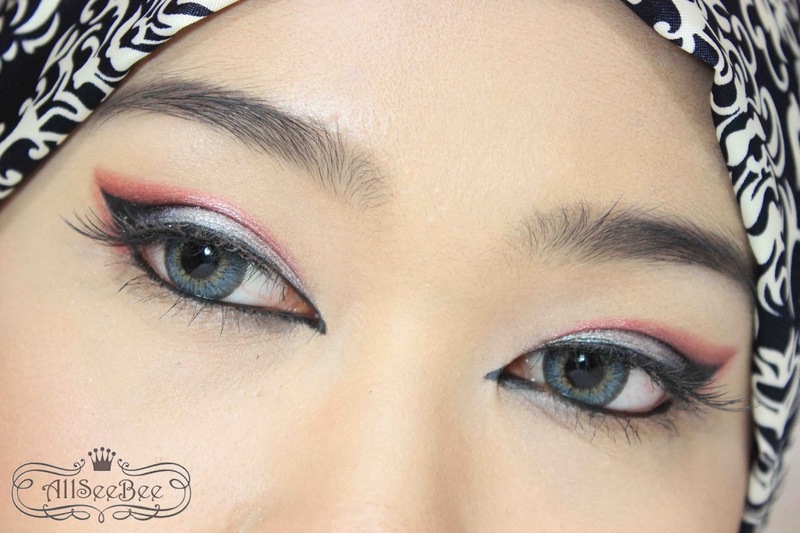 Ceuu.. itu eye shadow yang silver apa? Warnanya bagus deh..